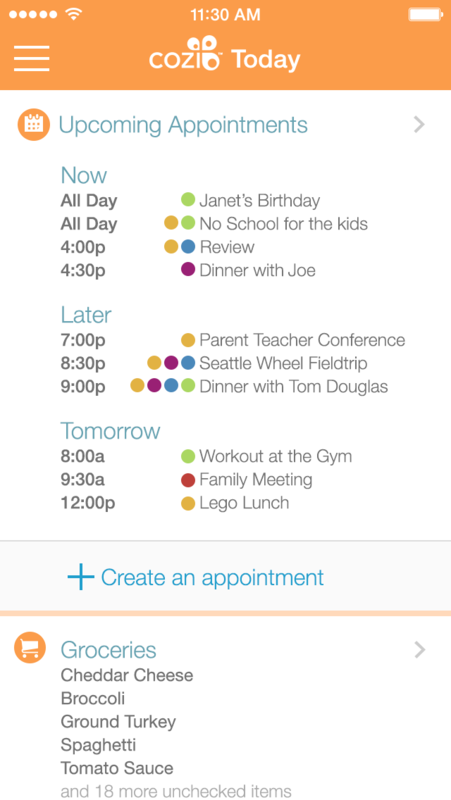 Cozi is the leading choice for families and includes a color-coded calendar, shopping lists, to do lists, family journal and more. 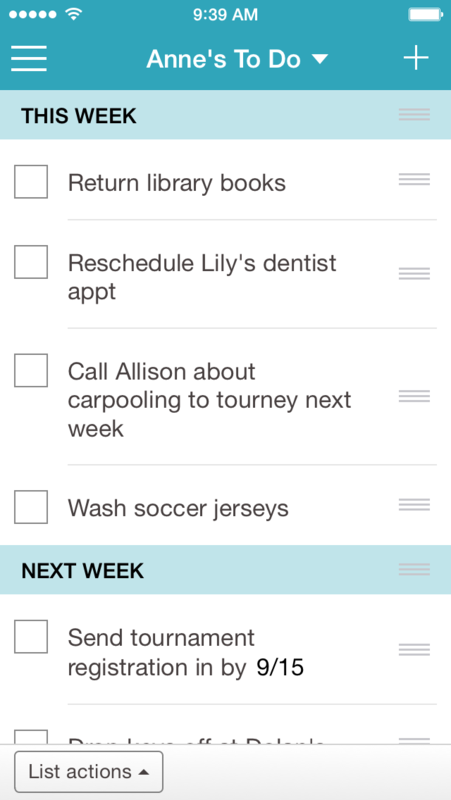 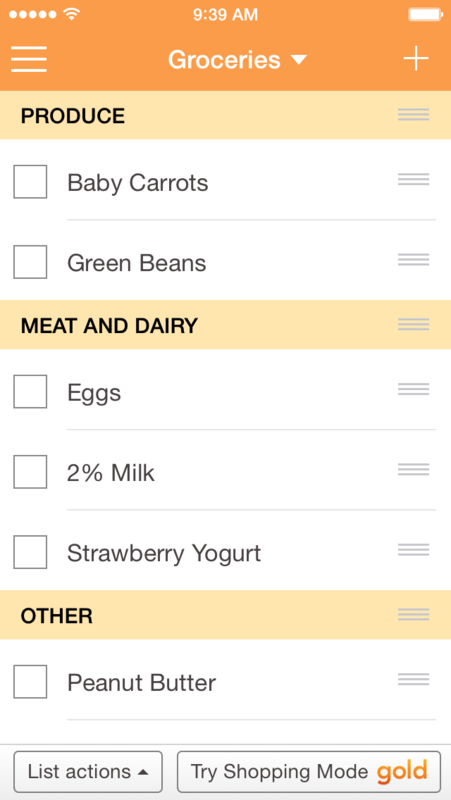 Cozi Family Organizer is shared, so you only need one account for the whole family. 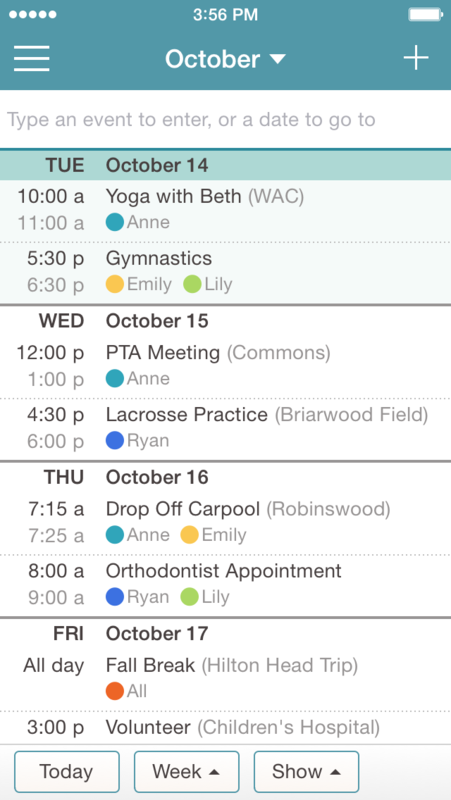 You'll no longer worry about scheduling an appointment over soccer practice, or forgetting who's picking up the kids from school.